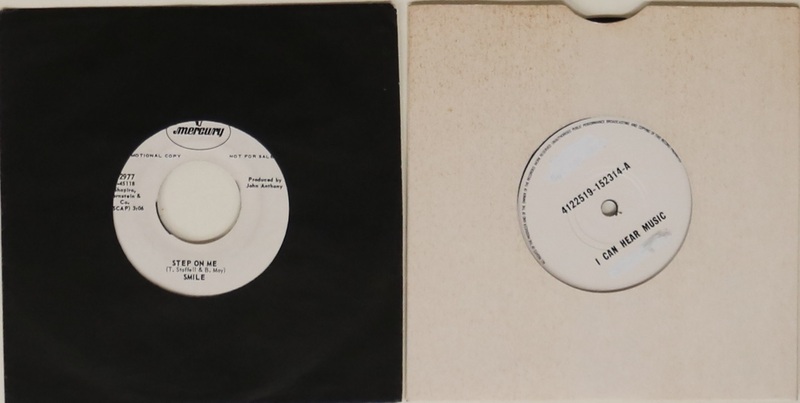 QUEEN/SMILE - 7" DEMOS - Brill pack of 2 x scarcely seen demonstration 7" releases. 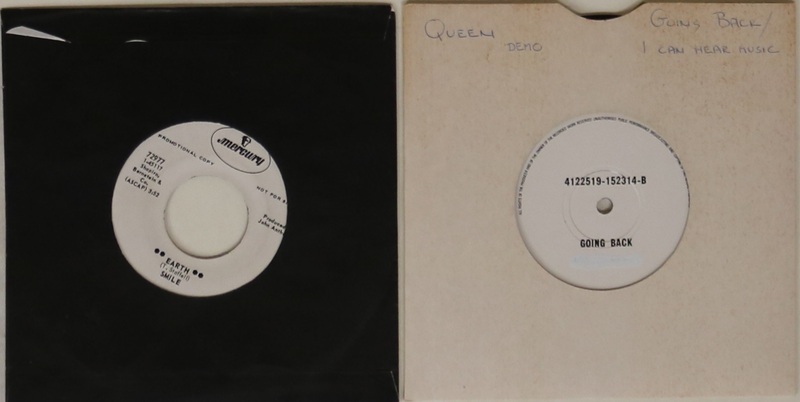 QUEEN/SMILE - 7" DEMOS - Brill pack of 2 x scarcely seen demonstration 7" releases. Titles are Smile - Earth (original US promo copy 72977 - very clean Ex condition with one or two very light and wispy markings, matrix/runout: 45 117-1-1-1 MR & 45 118-1-1-1 MR) and Larry Lurex - I Can Hear Music (promo 4122519-152314-A with 'Not For Sale' with tipex over it - great clean Ex condition with only one or two very faint markings).